Based on its recent analysis of the enterprise IP communications endpoints market, Frost & Sullivan has recognised Cisco with the 2015 Global Frost & Sullivan Market Leadership Award for excellence in capturing the highest market share within its industry. According to the analyst firm, Cisco’s “solid growth and implementation strategy, differentiated portfolio, tight customer focus, and strong brand recognition” in the enterprise IP endpoint market have set the company apart from the competition. So much so that its strategies have won it the top spot in the enterprise IP communications endpoints market with unit shipment shares of 32.5 per cent in IP desktop phones, 32.9 per cent in IP desktop communications clients, and 35.0 per cent in mobile voice and UC clients. “Cisco has not only constantly refreshed its IP desktop phone portfolio to address evolving market trends and newer segments, but also spearheaded the shift toward software-based communications applications,” Alaa Saayed, ICT Industry Manager, Frost & Sullivan. Today, Saayed says the Cisco IP phone portfolio includes devices that offer multimodal communications. “Cisco moved quickly to embrace cutting-edge concepts and elements, such as single-pane of glass, social media integration and gamification, and consistent end-user experience across devices,” Saayed adds. “Cisco’s innovation engine has recently delivered the new Cisco IP Phone 7800 and 8800 Series, Jabber 11.0, and Cisco DX Series. For Saayed, Cisco’s implementation excellence in the IP endpoint space is evident in its ownership of the largest installed base of IP desktop phones and UC clients in the market. 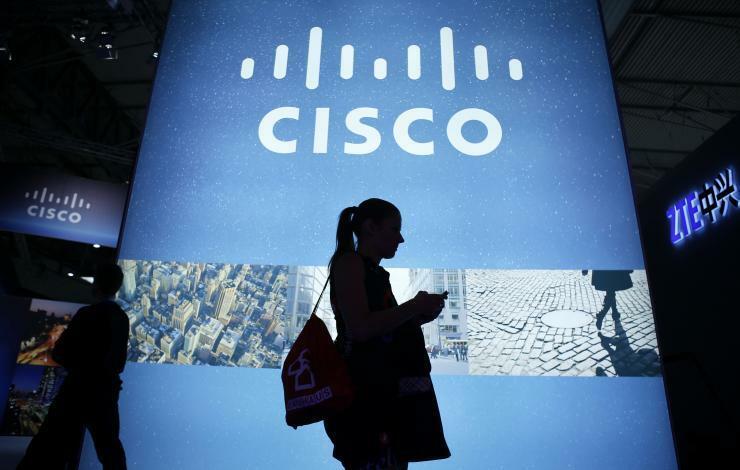 “Since the first shipment of Cisco’s IP phones more than 15 years ago, the company has expanded its IP endpoints installed base from 1 million in 2002, to 12 million in 2007, 30 million in 2013, 50 million in 2012, and 70 million in 2014,” Saayed adds. Boasting one of the largest partner ecosystems in the world, Saayed says Cisco has developed a reseller channel that ensures consistent global sales, extensive service offerings, and sustained innovation. “Its IP endpoint brand has a reputation for delivering high technology reliability, advanced functionality, and industry innovation,” Saayed adds. Much before the competition, Saayed claims that Cisco anticipated key industry trends such as the post-PC era, the Internet of everything, the consumerisation of IT, mobile/BYOD, WebRTC, the cloud, ubiquitous video, virtualisation, and the rise of enterprise social networking. “Overall, Cisco retains the market leadership position in the enterprise IP endpoint market by blending rich endpoint functionality with multiple business applications to help customers collaborate more efficiently,” Saayed concludes.